Planning and managing sales or distribution territories can be time-consuming and tedious if done manually. And, you can’t even guarantee effectiveness because such a complex process (which involves many factors) allows for easy missteps that undermine all the hours of hard work. For your sales and distribution to function like clockwork, your field service employees must reach your prospects or customers on time. If they’re late, it can put a potential or actual sale in jeopardy. Luckily, you can always get accurate routes with a road trip planner. Just put in the addresses that the employees need to visit and, in 30 seconds or less, the fleet management software will come up with the most efficient and precise route possible. The software even factors in all the important variables, such as weather, traffic, and construction, which can affect your drivers’ routes. 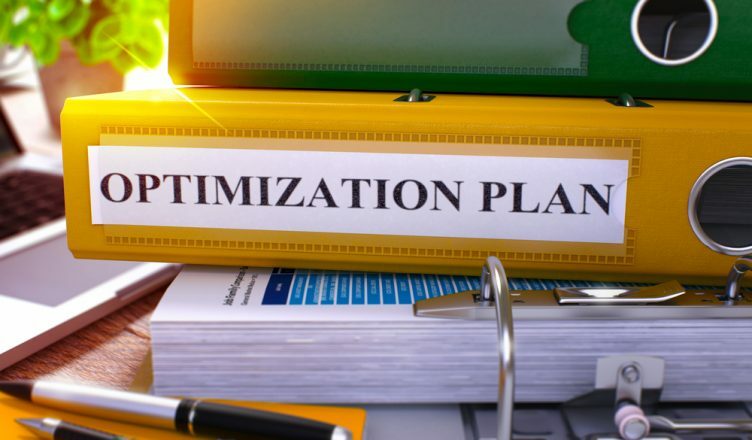 And, when you use the most optimized and productive routes possible, you’ll save on fuel and employee expenses, serve more customers, and make more money for your business. The best route planners come with a territory management feature which allows you to draw and name territories, use colors for their display on a map, save the regions as groups, and plan the routes according to the territories. You can even add unlimited territories. In this way, you can distribute your field service employees into areas where the stops are all close together. So, your field reps can get to more customers within the same timeframe, without overlapping with other territories. When you see all your sales or distribution territories on one map, it’ll be easier to see the big picture. And, through a route planner, you can zoom in on particular areas for more details (for example, sales representatives and customer types) and zoom out if you want to see the territory as a whole. The best routing programs even come with an interactive map feature that shows you where you’re excelling and where you’re not. This means you can put together a plan according to actual and current information and the resulting plan will let you shift and focus your efforts as necessary. Your sales or field reps should all have an equal workload. If some employees feel they are doing too much work, they’ll resent the other employees who have less of a workload. Also, the overworked employees will receive higher commissions or more overtime pay which, in turn, would make those with less of a workload resentful. Either way, it’s not good. With a road trip planner, you can distribute the workload evenly. Just enter all the addresses your team needs to visit and the number of employees you have. The software will take over from there and ensure every employee gets an equal amount of work and opportunity for commission. The best route planners are mostly web-based, which means your employees can coordinate and collaborate from wherever they are, as long as they have an internet connection. So, because your employees are always online and available, your operations become much more productive and efficient. Moreover, a delivery app comes with a two-way real-time chat feature that helps managers or dispatchers communicate with drivers in real time. Route4Me even allows field reps to include notes, videos, and images to a stop on particular routes to give it more context. Since the notes are centralized, anyone from your team can access them and get more information about the customers and/or routes. A route planner helps your field service employees picture the territories assigned to them. And, when they focus their attention on their respective territories, they’ll be more productive and convert more potential customers into actual customers. Also, not all leads are the same. While some are “hot”, others are “cold”. Route4Me has a feature that lets you assign colors to your leads (for example, you can use yellow for “hot” leads and blue for “cold” ones). This will help you keep everything organized. It’s one thing to give your field reps the necessary instructions to get to their stops, but you need to ensure they’re actually following your instructions. A trip planner comes with a GPS tracking feature that helps you track your drivers on the road in real time. With this feature, you’ll immediately know if an employee is going off route, making personal stops, or driving over the speed limit. You can even contact such drivers to rectify their behavior. 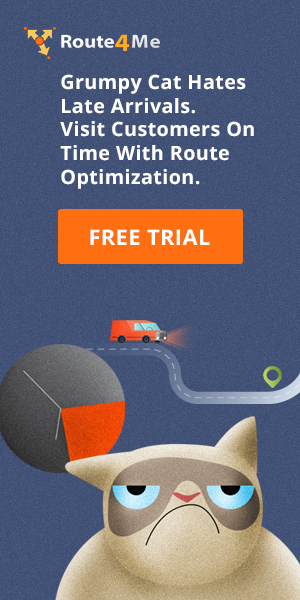 Currently, Route4Me also integrates with leading third-party telematics vendors, including Geotab, Azuga, TomTom, Verizon Networkfleet, VTS Silent Passenger, Teletrac Navman, Fleet Complete, and US Fleet Tracking. So, the vehicles from the connected telematics systems are automatically imported and resynchronized into the account of the corresponding Route4Me user. 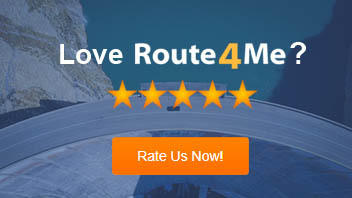 Each Route4Me vehicle can then be “linked” to a vehicle that is external to Route4Me. And, when the tracking data is captured from a third-party system, the data is sent to Route4Me and evaluated to determine which vehicle is associated with the connected vehicle ID. The last-known active route for the corresponding Route4Me vehicle ID is then identified and tracking data is appended into the route’s tracking history. New vehicles are also automatically reconciled every minute. To use this Route4Me feature, you can link a vehicle to a route either during the route planning process or after the route has been planned. Scheduling software can show you how much it would cost to expand to a particular area by creating mock routes. Also, such software offers a reporting and analytics feature that gives you a clear idea of your fuel costs, the length of time employees take to get to every customer, how long the drivers stay at each customer location, and other valuable data. All this is displayed on one dashboard to help you fill the gaps that are making your business bleed. In this way, you can be better prepared for the future. You’ll find all this reporting and analytical information in a simple format so you can make sense of it easily. And, it’s up to you if you want to refer to these reports weekly, monthly, quarterly, and so on. Clearly, a scheduling app is essential for managing your territories. However, not all such programs are the same. Some may offer great deals upfront when you’ll actually have to deal with a bunch of hidden fees later on. Others may not even offer you the customer support that you need. Scalable – It should be scalable according to your business needs. Easy to use – It should not require hand-holding to understand the features. Free trial – The company must have enough confidence in its product to give you a free trial. Good customer support – When there is a hiccup, you should be able to get immediate customer support. No hidden costs – Some companies would offer low prices and then trick you with hidden costs; the real deal must be transparent about all fees. So, what has been your approach to managing your sales or distribution territories? Do you have any questions? Please feel free to leave your comments below. How can a tracking app help you better manage your sales or distribution territories? How can a road trip planner improve your lead conversion ratio? What features should you look for in a trip planner?